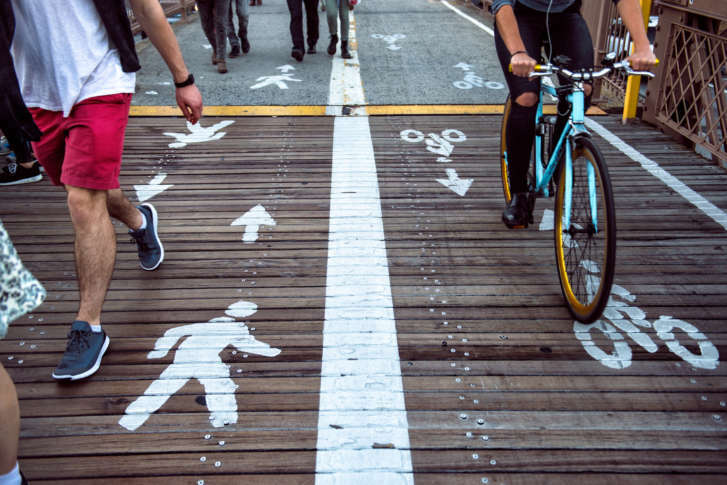 WASHINGTON — Eleven construction projects planned for Northern Virginia have been chosen to receive federal funds to help create seamless links for cyclists and walkers between neighborhoods and jobs. The National Capital Region Transporation Planning Board voted Wednesday to select recipients of more than $5 million through the federal Transportation Alternatives Program. The money will support a wide array of projects that include new and/or improved sidewalks and trails to facilitate safe passage away from speeding traffic. “This is really fairly small money, but making a big impact,” said John Swanson, principal transportation planner for the National Capital Region Transportation Planning Board. Some of the winning applicants have projects that improve safe routes to schools and increase access for people with disabilities. In Arlington County, for example, a project will add curb cuts for wheelchairs and move light poles from the centers of sidewalks to help the visually impaired navigate the terrain more smoothly. Virginia’s Department of Transportation is taking charge of the improvement efforts now. “VDOT will be working with the localities to implement the projects and hopefully get them done in the next year or two,” Swanson said.